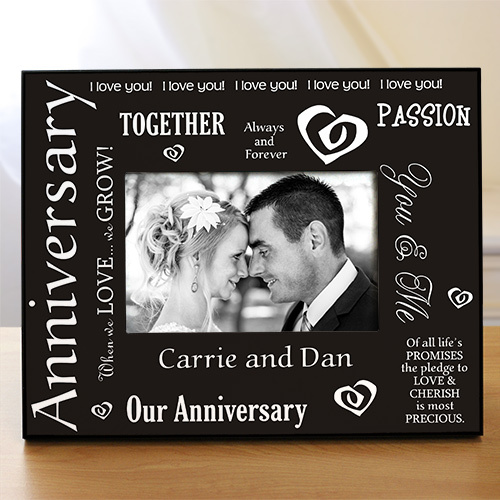 Our distinctive Anniversary Personalized Picture Frames are a thoughtful personalized gift suitable for even the most discerning married couple. Create a lasting Anniversary Keepsake they can enjoy over their long years of blissful marriage. 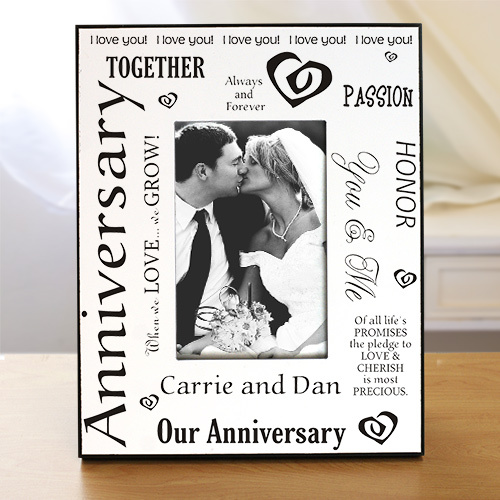 These Anniversary Customized Picture Frame may be personalized with any couples name and anniversary date. Date will be added underneath names. Please specify background color and orientation. Additional Details Shop all of our great Anniversary Gifts to find a unique way to celebrate your special day this year!